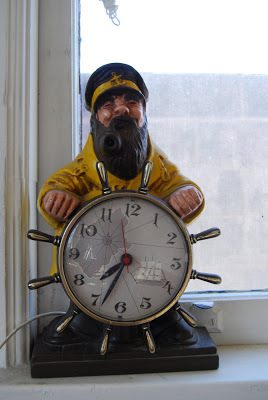 Girl loses interest, because let’s face it, sailor clocks are never dependable (he’s displayed the same wrong time for as long as she can remember) and he probably won’t call anyway. And she lived happily ever after.The End. Hmm. I'm jealous. Wish I had a sailor dude to avoid eye contact with. 🙂 Cute post! 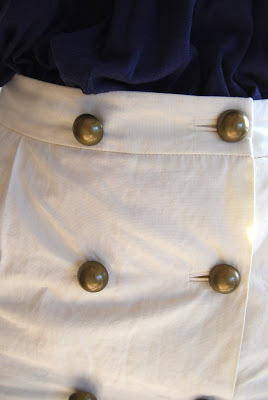 Gotta love a go-to skirt with fabulous buttons.